I met a magical whimsy unicorn in October of 2012. Her name is Betsy Garmon. And she is absolutely wonderful. She’s one of those woman who makes the gritty look lovely. She turns the things that seem torn and broken in your life into art and hope and dreams. I have learned and continue to learn so much from her. One of the life lessons I learned from her that keeps flashing in neon lights above my head these days is to hold space for myself. I’ve been told on more then one occasion over the last few months to have grace for myself, to not be so hard on myself, to take care of myself. If we want to discuss broken records in my life this is one of them. Here’s what it is: I know how to do it. I do. I know how to live well. I’m not sure though; if I know how to live intentionally. 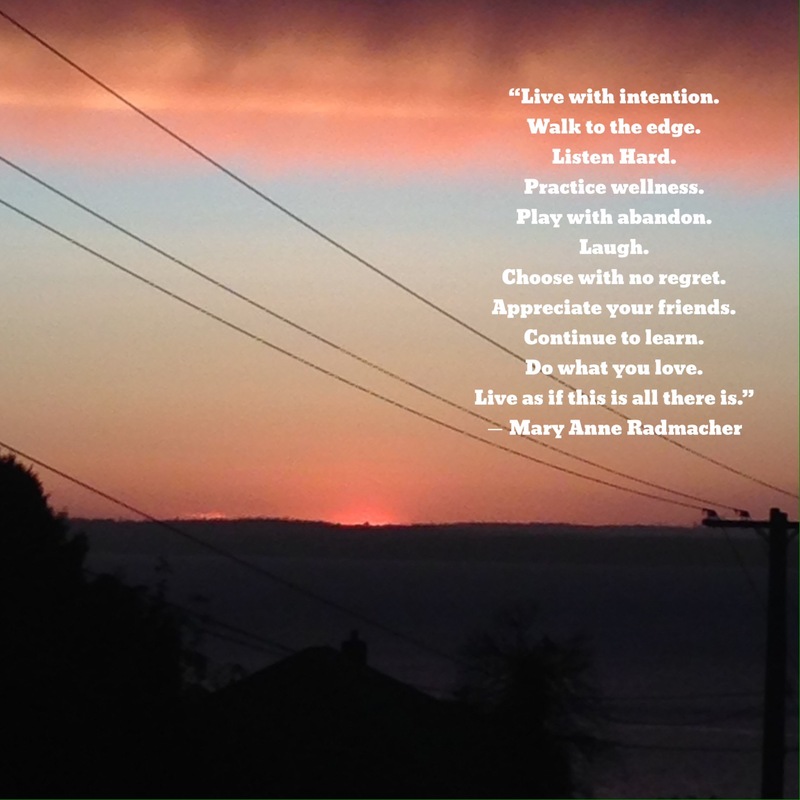 A favorite quote of mine is by Mary Anne Radmacher. I saw the words for the first time summer after my junior year in college in a tourist shop in time square on a magnet. My choir was in New York to sing at Carnegie hall and it was my first technical week being the president of the choir. And I was terrified. I remember reading those words and thinking how lovely they sounded before even knowing what lovely was. I truly believe I wanted to do those things but didn’t have the means to do them. Now, I believe I have the means, but not the ability. My whole self is tired these days. I could potentially state that this is the most tired I have ever consistently been in my life. I’ve been trying to figure out why my receiver has been unable to receive lately. Well,more so than normal. It’s been a struggle. Nothing sticks. And I want them too, more than I can describe. I’ve searched for a reason my walls go up and I haven’t been able to find it. But what I keep coming back to is eventually if I can’t find a way to hold space for myself how will I continue to do it for others? We live in a weird world friends. A world that says to look out for yourself, but also tells us to cram as much as possible into our lives and to earn money so we can retire and do nothing. We live in a world that has for the most part lost the art of the kitchen table and breaking bread together. And if we aren’t going to slow down to eat our food how are we going to slow down to sit in space with ourself? And we aren’t going to do that, then how are we going to live fully alive? I know that I am not living fully alive these days. I can feel it in my bones. I’ve been a little terrified of the silence and of sitting with God and even sitting with some of my friends. I don’t like feeling like I don’t have it all together for everyone. And if I am being real and true, I don’t know if I know how to make these a daily practice. I feel as if I am starting from scratch on the taking care of myself. And that’s why I’ve wanted to say all these things I’ve said in the last few blogs I’ve written. The depression, the ugly, the hurt, the tired. I’m coming to the realization that it’s ok to feel like I’ve already “done this”. Because I haven’t. It feels the same but it’s not. I don’t have answers, I barely have words. But I’m choosing to say the ones I have. I’m choosing to do things that feel hard. I’m choosing to sit in silence even when it drives me nuts. I had a breakdown today.Lies were piling on from left and right and all I could see was a barren, dry, dusty road. I felt like all of a sudden I’d been tipped over and shaken up. My friend Glenalyn chose today to text me about a book about my soul. I ended up talking to her via text for an hour or two. 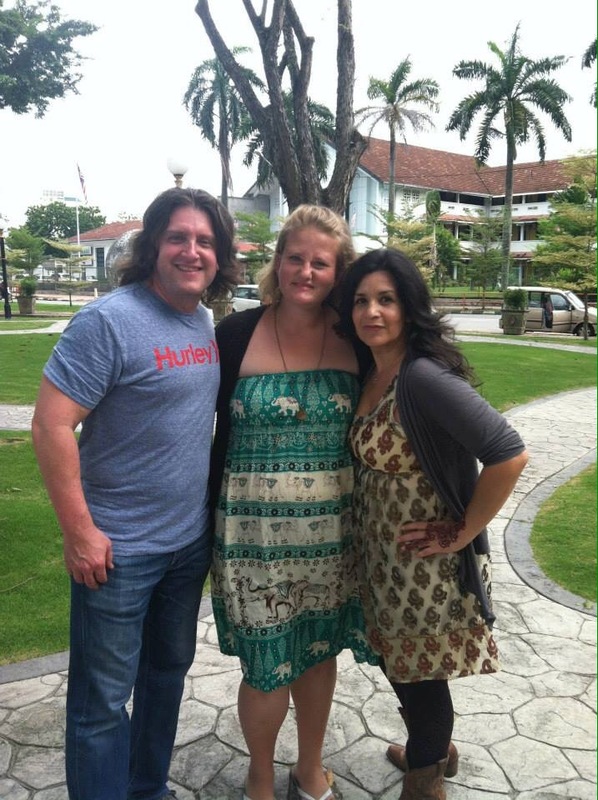 It, of course, made me ever so thankful for this tribe I have found myself grafted into. It made me know that even when I feel the most alone, I am not that thing. But in that conversation I realized that there are two things that I’ve lost the ability to do. Somewhere, I believe in the last 8 months, I forgot how to tend to my soul. As I’ve come back to the hustle and bustle of working, of doing a job that has substance as opposed to one that was monotonous, as I’ve come back into community and church and having a social life I’ve lost my ability to soul care. I can tell someone else how to do so, I know what used to work for me. But now, everything falls flat. It’s like charging a phone that always has to be plugged in. It needs to be connected to the source at all times. So, tonight when I told Glenalyn that I was going to doing something lovely before I went to bed I sat on my couch and opened my hands up and had no freaking idea what to do. I (feel as if) I’ve lost the loveliness in my life. I feel like it’s been trampled in and kicked while it was down. And in a brutally honest moment I’ve realized tonight that I don’t know how to sit with Jesus especially where it just feels like nothing wants to settle down. I’ve been posting a lot of words that feel like that don’t have solutions, words that feel like fruit basket upset. Words that don’t feel like peace. And I know in my knower, in the depths of me, that I am ok. I know I am peace, I am lovely. I know the answer is tucked deep within me. And I know Jesus is here. Right now. On this couch with me, even when it seems I can’t look him in the eye. Or when I want to stand tall and carry my own burdens. That’s the best part of it–he knows me. And I know I won’t run. I’m not lost, I’m not on the wrong path. Even when I don’t feel it, I am that thing. And so are you, when you feel like you are grasping at straws, grasping for breath, grasping for wisps of peace, you are still who you are. Who you were created to be. You are lovely, even when it seems you can’t find it.